Traditional diets included a wide variety of ingredients from myriad wild and domesticated plants. Regional cuisines were shaped by native species in their local environment and by gradually-adopted plants from distant places. The modern global food system and market pressures have reversed this trend, so that today’s diets rely on a dwindling number of crops for a growing number of people. This has profound effects on health and leads to dependence on unstable commodity markets. Malnutrition and food insecurity are critical issues for society’s most vulnerable citizens. This Technical Note (TN) will explore the unique plants that are used around the world to add variety and dependability to diets. Some species are wild or naturalized and can be found in forests, fields, and wetlands. Some are old cultivars of widely grown crops that have fallen out of use. Others are popular in one part of the world, but could be a valuable contribution to diets around the globe. Many have multiple uses and benefits. An essential part of ECHO’s mission is to make seeds or cuttings of these traditional plants available to at-risk communities. This TN addresses underutilized crops from the perspective of the smallholder farmer and community-based development worker. It will not discuss national and international policies, or international genetic preservation efforts. It will discuss underutilized plants and climate change from the perspective of local- and farm-level resilience, but will not examine global mitigation and adaptation implications. Livestock, aquaculture, or marine species are not addressed in this TN. The plants described in this TN fall into a category of agriculture with a confusing assortment of names, including neglected and underutilized crops (NUCs), minor, marginalized, underexploited, abandoned, underdeveloped, lost, and even orphaned. 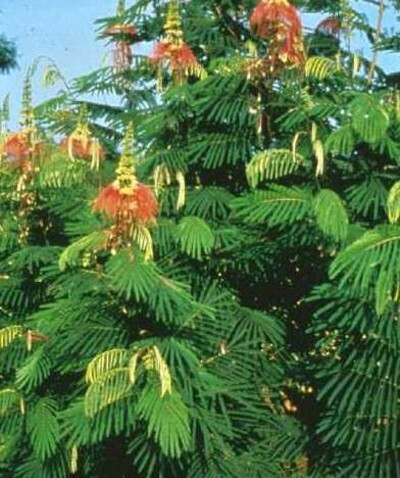 Such terms have somewhat negative implications and do not convey these plants’ importance in their places of origin, their unique qualities, and their increasing use in new lands. In this document, they will be referred to as underutilized crops. While still slightly negative in connotation, this term implies untapped future potential. Globally, wheat, rice, maize, and potatoes supply more than 60% of people’s calories (FAO 2016), and around 50 crops contribute 90% of total consumption (FAOSTAT). Although global hunger and food insecurity have declined in recent decades, around 800 million people still suffer from hunger. Rates of adult malnutrition, child and infant mortality due to malnutrition, and stunting and developmental delays continue to plague hundreds of millions of people. Many modern diets are based on just one or two staple cereal grains that may lack the nutritional balance that a more diverse diet would provide. Underutilized crops are often loaded with vitamins and minerals and can be incorporated into local diets. Nutritious lesser-known or forgotten plants are gaining attention as a means of boosting childhood development and improving public health. Use of underutilized crops often declines due to changes in farming practices, changes in market forces, and cultural erosion that results from modernization, migration, urbanization, and land degradation. For these and other reasons, nutritional, medicinal, and ceremonial knowledge is often not passed on to younger generations. Re-introduction and promotion of underutilized plants to young people are important ways to teach history and honor the past. Some underutilized crops are widely grown and used in their centers of origin, but are “neglected” by regional and international markets. Crops not suited to long distance transport and commodification are often ignored by plant breeders and agricultural researchers, which limits the number of named cultivars and the creation of new varieties with traits suited to a broader range of growing conditions. Some highly nutritious plants could play a larger role in reducing malnutrition if they were eaten over a longer period of the year or if cultivars were available for different growing conditions. Work on developing such cultivars of underutilized crops is being done by institutions such as Crops for the Future, the United Nations Food and Agriculture Organization, the African Orphan Crops Consortium, and the World Agroforestry Centre. Hunger and malnutrition can be long-term (chronic) or short-term (acute). In both cases, availability of food varies seasonally in quantity and quality. Annually, a season of scarcity often occurs after seeds of staple crops have been planted and the growing season has begun. Increasing the number of farm crops (agrobiodiversity) can extend the harvest season so that fresh produce is available over more of the year. Underutilized crops can be “bridge crops,” filling nutritional gaps in the annual dietary cycle. Some “spring” crops are harvested early, before primary crops are available. Others mature late in the growing season and keep well after harvest. Still others can be continuously harvested over weeks or months and act as a long-term nutritional supplement. A farm or garden diverse in both species and cultivars will produce over an extended period and will provide a diversity of nutrients. Seasonal variation in food supply affects livelihoods as well. Times of abundance, such as during the harvest and sale of staple crops, alternate with periods during which savings dwindle. 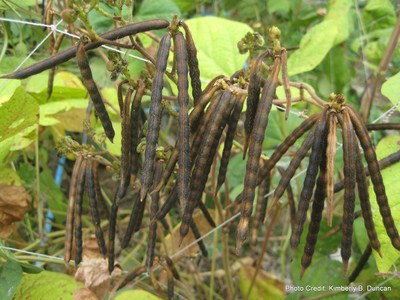 Underutilized crops can improve livelihoods in two ways. First, income can be increased through specialty markets that pay a premium for unusual products or items available somewhat out of season. Second, money can be saved, and thus livelihoods improved, if underutilized crops feed the family during periods when food might otherwise need to be purchased. Smallholder farmers are particularly vulnerable to both local and external disruptions. Droughts, floods, pests, conflict, commodity price fluctuations, and inaccessible farm inputs can undermine family health and stability. Erratic weather patterns, including delayed start of the rainy season, a shorter rainy season, or sporadic rainfall, require even more attention to plantings that can be harvested during the hunger months. The best way to build family and community resilience is to create farmsteads that are self-reliant for basic food, fiber, and fuel needs. Integrating underutilized crops within the overall farming system creates local self-sufficiency by reducing dependence on off-farm inputs and markets. Perennial crops, which are planted once but harvested for many years, are often able to survive severe weather. With perennial crops, farmers can expend less labor (for planting), extend the growing season, and protect soil and water resources. Examples of perennial use include woody fodder and fuelwood species that can be coppiced (species capable of regrowth after being cut close to the ground); living fences and productive hedge rows for field borders; perennial legumes; perennial edible greens; and trees and shrubs planted for diversified fruit and nut production. Increasing crop diversity leads to improved family resilience; it also creates an ecosystem beneficial to local fauna and flora. The microclimates and niches on a diverse farm provide important habitat for pollinators and other beneficial insects that are helpful for Integrated Pest Management (IPM). The wild plants that exist in a diverse landscape can be important hosts for beneficial insects and birds. They can also be sources of food and fodder. 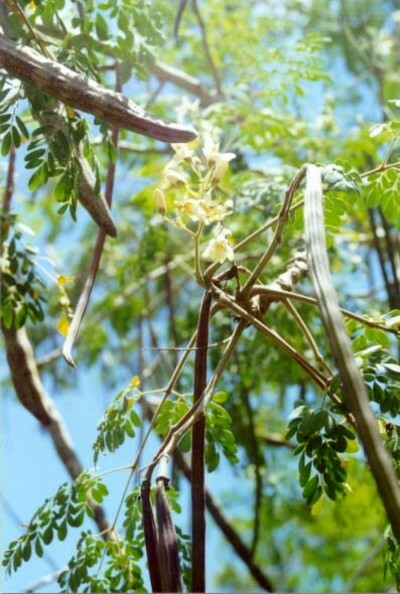 In many parts of the world, people use traditional medicines from native plants. These folk remedies are affordable and often the only treatment available. 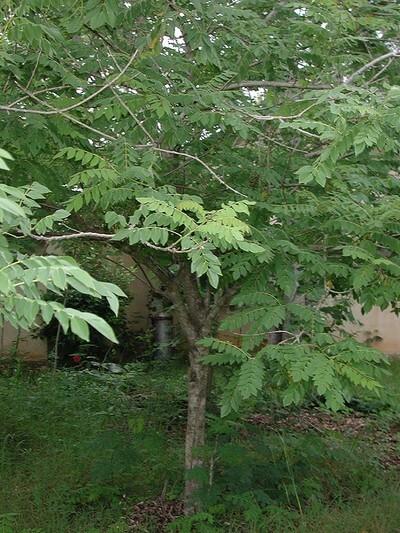 Some medicinal plants are collected from the wild and some are maintained in home gardens. After harvest, medicinal herbs can be made into value-added teas, infusions, and lotions that can be sold at local markets for supplemental income. The promotion of underutilized crops can help to preserve local indigenous knowledge that is rapidly being lost. Many once-popular plants are now considered quaint, primitive, or backward; some are regarded only as famine food or food for the poor. This type of stigmatization can be reversed, but reintroduction should include an emphasis on nutrition, self-reliance, and food sovereignty. Be sure to promote indigenous knowledge respectfully. Research the historical uses, distribution, and ritual and cultural significance of plants being evaluated or promoted. Herbalists and wild food gatherers have helpful botanical knowledge. You might also approach historians and folk artists to learn about traditional uses of plants. 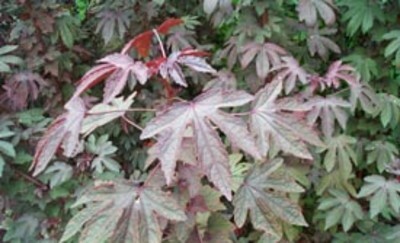 For example, expert craftsmen know which colors can be derived from which plants, and how to prepare them. Programs intended to revive folk crafts with local youth sometimes have the unexpected benefit of also promoting underutilized plants. Underutilized crops, in the form of traditional foods, can play an important role in situations of migration and displacement. Many people who migrate to new cultures and food systems wish to maintain vestiges of their homelands. Even migrants to urban areas can grow specialty crops in container and window gardens, or in community garden allotments. Passing on the tastes and smells of traditional cooking is fundamental to human culture. Many underutilized plants are hardy and can thrive with little attention or expense under harsh conditions. Species exist that are adapted to poor soils, rough terrain, and/or drought conditions. 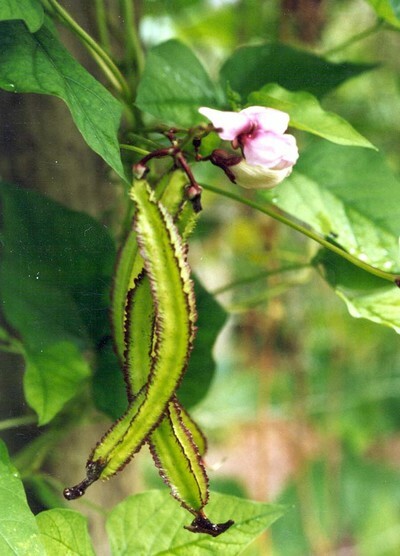 They can be grown on portions of farmsteads where staple crops will not flourish. Thus, they do not necessarily compete for land or interfere with conventional farming practices. Fence rows, hedges, edges of fields and forests, and even drainage ditches can be excellent niches. 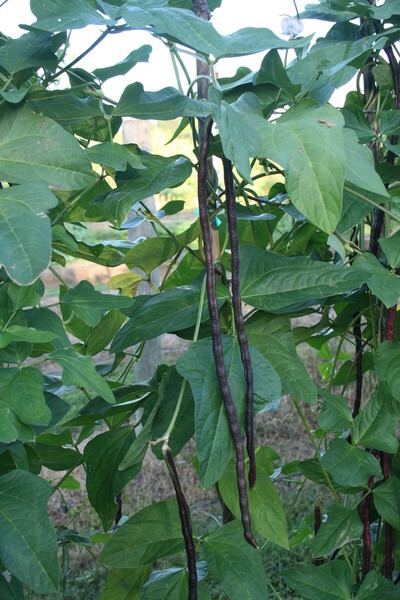 Also, many underutilized plants are adapted to shade and can be grown in the shadow of other crops. Certain crops present unique challenges and obstacles to adoption. 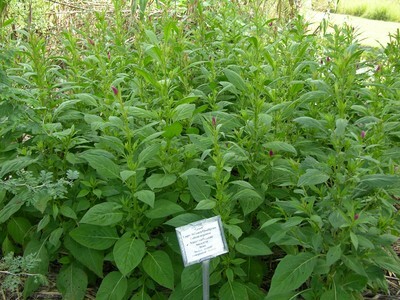 For example, the taste may be culturally unacceptable, or the crop may turn out to be a pernicious weed when planted outside its native range. Before introducing a crop to a new area, be sure to evaluate its cultural and ecological appropriateness. As part of this analysis, look at the hunger and malnutrition issues in the area. Who in the community is most at-risk? Where are these households located? (Are they marginalized to the worst land?) When are the “hungry” months? Which nutritional elements are lacking (e.g. protein, vitamin A, iron, etc.)? What social factors are affecting the situation? Are the social constraints explicit or unconscious? How might these be altered, and what unintended consequences might result? Within your context, consider people’s level of receptivity to a potential change or innovation. First determine if underutilized plants could improve conditions in a culturally sensitive way; if so, then proceed to choose an underutilized crop that would be ecologically and nutritionally appropriate. Understanding a community’s dynamics takes time. Patience and curiosity are needed to get to know people at all levels of society. Carefully observe and probe to discern underlying power dynamics and power brokers within the community. It also takes time to understand the present farming systems, how they have changed over time, and what pressures caused those changes. Introduction of a new crop plant might seem harmless, but innovation always brings unintended consequences and tensions. Before introducing a new crop, ask whether it is useful or profitable enough to warrant the space that other plants might occupy. New crops should not displace traditional income streams, require high inputs, be laborious to maintain, or create financial risk. They should grow fast and produce high yields in their first or second season, to prove their worth quickly. If a crop has low commercial value, is its contribution to family nutrition high enough to compensate? Is there a market for surplus production? Is adequate seed available to meet the need if the crop proves popular? New crops should also be easy to share through seed or cuttings so that curious neighbors can experiment with them. Does the new crop meet a demand or solve a problem? For instance, if livestock forage is inadequate during certain times of year, will the new crop be ready to harvest at that time? If an underutilized crop is being considered for income generation, be sure to examine local and regional markets. It will not help to produce a bumper crop of something if it will never reach a market and be sold. Bringing a new product to market will be easier if it serves as an attractive substitute or alternative to a product already being sold in the market. Selling an entirely new product is more difficult. For it to succeed, the new product must fill an existing felt need and must be accessible to potential customers. Some plants contain chemical substances that impart an unpleasant taste, interfere with availability of nutrients to the body, and/or are toxic if consumed in high enough amounts. In many cases, cooking or other food processing methods can reduce or eliminate these substances. Take time to learn about the crops you are working with and exercise due caution. With respect to anti-nutritional factors in underutilized crops, problems are minimized by eating small amounts of diverse species, versus consuming large amounts of just a few crops. Do not introduce species that are known to become weedy. 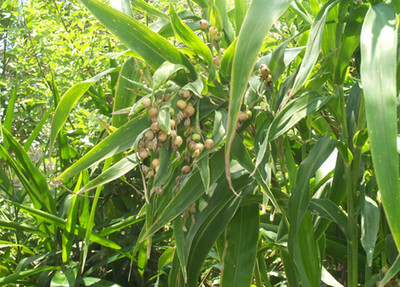 Agricultural authorities in some countries maintain lists of crops they consider to be invasive. There are also websites, such as PIER (Pacific Island Ecosystems at Risk), that can be searched to assess the potential of a given species to be invasive. Factors to take into account include, number of seeds produced, how seeds are dispersed, distance over which seeds are dispersed, longevity of seeds, and how competitive the plants are for light, nutrients and water. Avoid bringing in new varieties of existing species that could cross-pollinate with native varieties, thus changing their characteristics and interactions within the ecosystem. Figure 1. Flower and foliage of Tithonia diversifolia. Some crops that are weedy/invasive are still useful. Tithonia (Tithonia diversifolia), for example, is considered by most to be a weed. 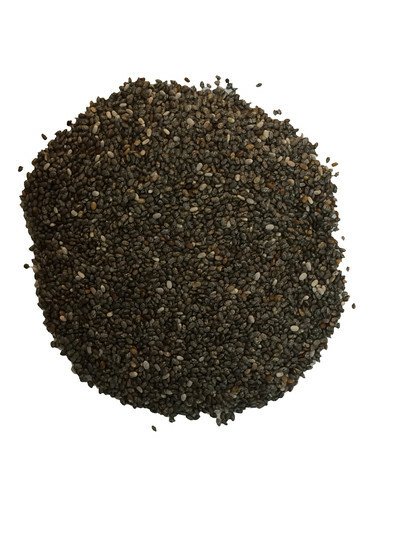 Yet, it is used as a green manure, can be fed to animals, and has insecticidal properties. Introducing such crops to new areas is not recommended, especially if the negative impacts outweigh the benefits. 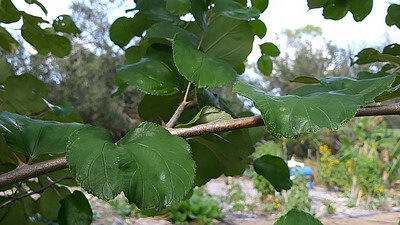 However, if such plants are already present, consider ways in which they could be utilized without further negative impacts to the environment. Seeds or other propagation material are taken without permission. Plants or seeds are taken of wild species or those that are only found in a specific area or region. Plant materials taken are later patented, used for breeding purposes that farmers are unaware of, and ultimately sold for profit. Even if you have no intentions of restricting plant ownership (e.g., taking material out of public domain), it is matter of good practice and common courtesy to respect local plant resources and those who are caretakers of them. Ask permission before collecting plant material from someone’s land. If you ask farmers for seeds, be transparent and explain to them what you are planning to do with them. 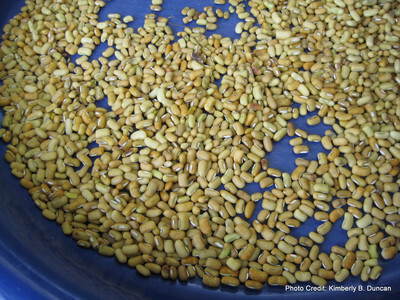 Before exporting seeds outside a region or country, consult agriculture authorities to find out about any plant species or landraces they consider to be national resources. Conflict can also be avoided by working with crops that are already being grown in many places around the world. When selecting underutilized crops for an area, begin by gaining an understanding of the local context. What are farmers growing already? What plant resources exist locally or in country? What crops are being sold and traded in local markets? What food production constraints do farmers face? What are the nutritional gaps in a community? In answering such questions, get as much input as possible from local farmers. Analyze the soil, climate, and pest conditions of an area and match those with species and varieties that are most likely to thrive in the new environment. Narrow your list of species and varieties further by taking into account the challenges, concerns and cautions discussed in the previous section. Some underutilized crops are native to an area, or have been there so long that they are now considered traditional. There may be good reasons that they are no longer widely used, but they also might have been neglected as new varieties and farming practices were adopted. Sometimes the “new” overshadows the value of the “old.” A community may benefit from simply rediscovering existing but little-known resources. As mentioned earlier, be respectful of a community’s sense of ownership of local plant resources. You can locate and learn about indigenous underutilized plants in several ways. First, share meals with the elders of the community and ask many questions. Showing respect and curiosity for traditions is always welcome. Second, bring that same curiosity to local markets and befriend vendors of unusual vegetables, fruits, herbs, and spices. Third, learn about unusual plants you observe and how they are grown. Farmers love to share their knowledge and will welcome a visitor who comes to learn, but may be distrustful of a formal survey process. Fourth, organize a shared community meal with the express intent to learn about food traditions and rituals. If you ask to participate in the preparation for local festivals and ceremonies, you will be helpful while getting a behind-the-scenes glimpse at local traditions. In all regions of the world, people grow crops that are not native to the area. 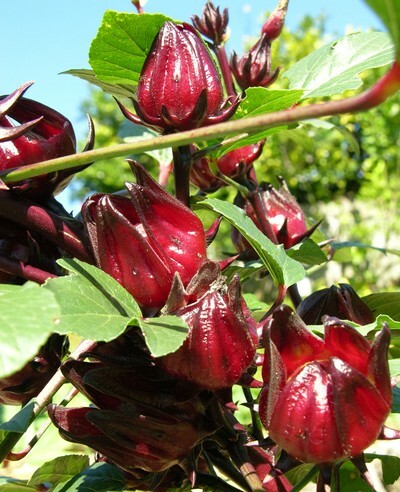 Many of these exotics have become staple crops where they have been grown over time. Similarly, many underutilized crops are found in various countries around the world, far beyond their origins. As mentioned earlier, we want to avoid introducing an exotic crop that could become invasive in its new location. Thousands of underutilized crops could be considered. The list below describes crops that have been successfully grown in many places. Depending on seed supplies (where ECHO is based in Florida and/or at one of our Regional Impact Centers), these are available from ECHO. To help simplify the task of selecting appropriate underutilized crops, the list below is followed by tables that organize underutilized crops by various categories (e.g., leafy vegetables, grains), with information on uses and special traits (e.g., nutritional factors). Tables include some species not carried by ECHO seed banks. Each species description includes links to ECHO publications with further information. ECHO publications are abbreviated as follows: ECHO Development Notes (EDN), Technical Note (TN), Research Note (RN), Asia Note (AN), and Plant Information Sheet. Table 1. Examples of underutilized crops with multiple products. Table 2. 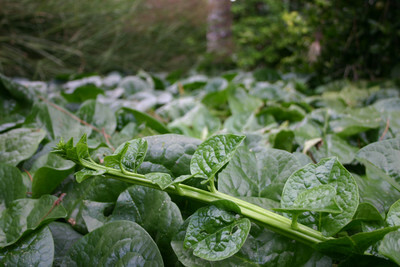 Examples of leafy vegetables with potential value. Because they contain solanine, which can be toxic, cook/boil the leaves and do not eat unripe berries. On many invasive weed lists. Table 3. Examples of pulses with potential value. Table 4. Examples of grains with potential value. Table 5. 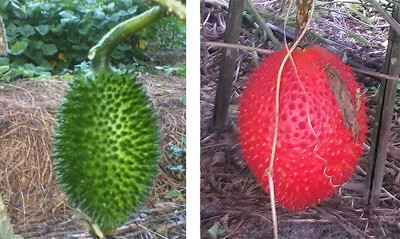 Examples of fruits and vegetables with potential value. Table 6. Examples of tuber and aroid crops with potential value. 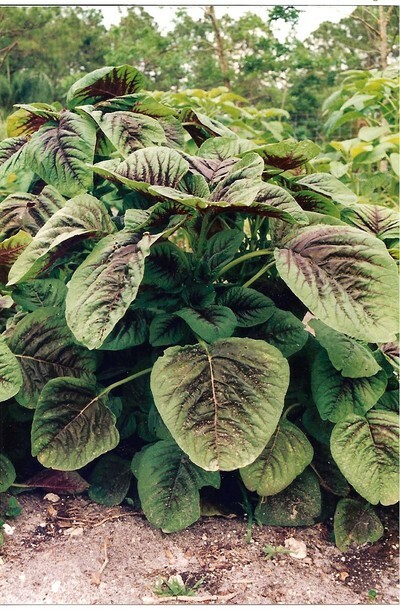 Vines of wild forms of air potato (D. bulbifera) smother native vegetation. Have you considered introducing one or more underutilized crops in your area? Start by acquiring seeds, seedlings, and cuttings; many of the ones mentioned in this Technical Note are available from ECHO. Then it is time to experiment. Start with a small planting near your home or on a project site, so that you can observe progress and pests daily. If the new crop grows well, fits the local diet, and stimulates local interest, you can find a local farmer to plant a trial plot. Be sure that this farmer has the curiosity that is characteristic of an early adopter. Minimize risk of crop failure by only planting on a small portion of a farmer’s land. Ideally trial plots will allow for comparisons. For example, the new crop can be planted next to a similar type of crop that is already grown in the area. You can also plant just the new crop, but treat sections of the plot differently: for example, irrigation vs. no irrigation; mulch vs. no mulch; or regular weeding vs. neglect. Small sample harvests could be taken at different times in the growing cycle. If such trials show promise, early adopters can encourage neighbors and family to try their own experiments. Inviting new farmers to talk to early adopters and tour their plots is the simplest form of farmer-to-farmer learning and knowledge sharing. Both early and late adopters will adapt new crops in unforeseen ways. Learn about and work with any existing mechanisms farmers use to evaluate and adapt new crops. Successful introductions are usually those that not only grow well but are also easy to prepare and incorporate into traditional foods. Innovations will also occur in the post-harvest preparation of new foods and in potential market opportunities. Please document these new uses and share them with the ECHO Network! Encourage people to share seeds within the community, so that benefits are experienced by as many people as possible. Generosity with planting materials and practices will go a long way in avoiding jealousy and conflict. It will also prepare the community to try more underutilized crops in the hopes of shared prosperity. FAO 2016. Save and Grow in practice maize, rice, wheat: A Guide to Sustainable Cereal Production. Food and Agriculture Organization of the United Nations, Rome. FAOSTAT. Food and Agriculture Organization of the United Nations, Statistics Division, Rome. LuFeng, J. YanMei, Y. CaiXia, and H. YiFan. 2008. Analysis and evaluation of the nutritional components of Chinese Coix lachryma-jobi kernel resources. Acta Nutrimenta Sinica 30:102-105. EDN 113: Focuses on indigenous food plants, with links to other resources. TN 20: Contains information useful for identifying promising plants for the tropics. Fighting Poverty, Hunger and Malnutrition with Neglected and Underutilized Species: An overview by Bioversity International of underutilized crops, detailing their importance, status in various parts of the world, challenges, and ways to promote them. Inviting All the World's Crops to the Table: A booklet highlighting traditional, underutilized crops. Lost Crops of the Incas: Focuses on underutilized crops for the Andes, a good resource for cooler areas. CRC Handbook of Alternative Cash Crops: Presents information on 128 crops. A Field Guide to Medicinal and Useful Plants of the Upper Amazon: Contains many helpful photos and explains uses of plants in the Amazon. Global Research on Underutilized Crops: Reviews research trends and is written for those in a position to influence policy and research collaboration.